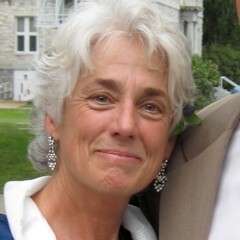 Janine Michelle Mauche DuMond, 67, passed away unexpectedly on April 15, 2016 at the UVM Medical Center in Burlington, Vermont. She was born in Elmira, New York. Most recently of Underhill, Vermont, Janine previously lived for many years in Saranac Lake and Lake Placid, New York – she called both the Green and Adirondack Mountains home. Janine was a devoted and loving mother, grandmother, daughter, sister and aunt. She was a caring and dedicated nurse, a talented organist and pianist, a piano teacher and a swimming instructor. Janine loved hiking, cross-country skiing and kayaking – she held a deep appreciation for nature and was passionate about spending as much time as possible outdoors. She was also a gifted seamstress, amateur astronomer, lover of classical music concerts, as well as an enthusiastic contra dancer and fiddle player. Janine is survived by her son Justin Crawford DuMond (and his wife Alison DuMond) of Erie, Colorado and her daughter Lara DuMond Guercio (and Lara’s husband Brian Guercio) of Billings, Montana; her 3 grandsons Soren Joseph DuMond, Felix Ansel DuMond, and Brooks Colden Guercio; and her mother Anne Budell (VanVorce) Mauche. The oldest of 8, Janine is survived by her 4 brothers (Jacques Mauche, Timothy Mauche, Christopher Mauche and Shawn Mauche) and 3 sisters (Renee Mauche Faatz, Muffett Mauche George and Therese Mauche O’Rourke), as well as 12 nieces and nephews. She is predeceased by her beloved father John Joseph Mauche, originally from Rennes, France. Family and friends are invited to a celebration of Janine’s life to be held on Tuesday, August 2 at 11 AM at the Adirondack Loj at Heart Lake in Lake Placid, NY (1002 Adirondack Loj Rd, see ADK.org for further directions). For those interested, her children suggest in lieu of flowers that contributions in Janine’s memory be made to the Adirondack Mountain Club, Green Mountain Club or Appalachian Trail Conservancy.